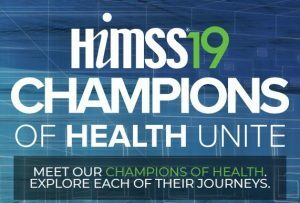 This is the second in a series of blog posts recapping HIMSS’19; you can read all our coverage here. 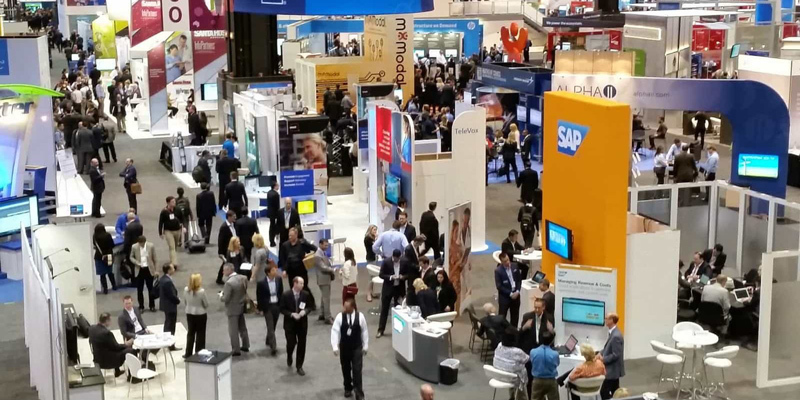 My primary purpose at HIMSS’19 was gathering information and ideas for our upcoming report on the front door to care. This report will take a close look at the evolving ways patients first enter the healthcare system. 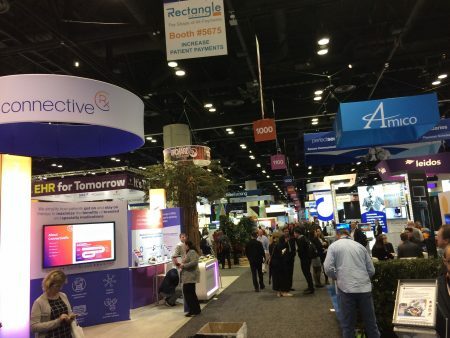 Whether from retail health, telehealth, remote patient monitoring, or remote care apps, HIMSS was full of changing ideas and approaches. The conference had a utilitarian focus, looking less at generic or abstract buzzwords to get people excited, and more at what can be done right now to engage providers, payers, and ultimately patients. Telehealth, Remote Monitoring, and Virtual Care can significantly erode established HCO business models, or complement them. Health systems have invested a lot into controlling referrals and leakage. While the PCP remains the central organizing hub of most healthcare, the growth of retail and remote health could lessen the PCP’s centrality in traditional referrals networks. Unlike the Teladoc model, which employs contracted providers to provide a turnkey outsourced telehealth service, newer entrants offer operational platforms and back-end systems so HCOs can staff and run their own telehealth programs. This allows them to retain control of the patient experience. It’s an easier model for an HCO to understand and use, but whether they adopt such solutions before their competition is an open question. Behavioral health might finally get its due through Virtual Care apps. Between shrinking reimbursements and scarce providers, behavioral and mental health care have been the first service line on the chopping block for a while now. PCPs have become the go-to provider for too many behavioral health needs, occupying increasing amounts of time and stretching their expertise thin. Several of the telehealth and remote health platforms I saw last week had behavioral health components. There were a few well-executed apps dedicated to mental health and wellness, mainly with a CBT/DBT focus and some with solid clinical results. Helping PCPs manage this care and mitigating the effects of comorbidities on patients is an important part of addressing PCP workload and job satisfaction, as well as patient engagement. 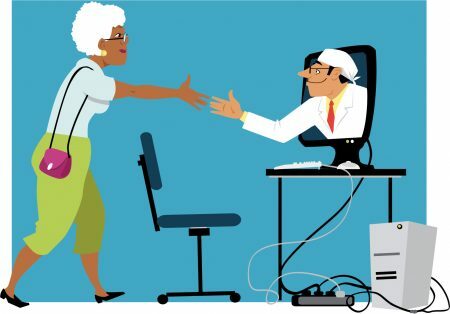 These virtual care offerings can help struggling PCPs get their patients the help they need, while still working within tight budgetary and scheduling restrictions. Telehealth, Remote Monitoring, and Virtual Care can significantly erode established HCO business models, or complement them. The question is whether health care systems will recognize that in time. With my background in healthcare performance analysis and improvement, I wanted to see how analytics is evolving to become more effective and efficient. The future of analytics platforms looks less like pre-built dashboards or reports and a lot more like what Visiquate offers. 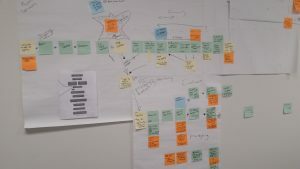 Its embedded employees work directly with customer end-users to execute Agile-inspired improvement sprints supported by their analytics and reporting. Vendors are coming to grips with the challenge of operationalizing analytics for value and performance improvement. The value proposition behind both improved reporting software and process improvement is pretty well understood. Figuring out how to fit it all into an annual budget in an era of shrinking margins is the real hard part here. Leveraging data to produce specific, actionable recommendations remains a challenge. A fascinating conversation about AI at the Geneia booth on Tuesday afternoon summed up the current state of AI and machine learning in the clinical world. While access to existing and new kinds of data is increasing and the ability to integrate it is getting more sophisticated, AI and ML still aren’t the clinical tools many expected them to be. Only imaging, an area where the datasets are complete and the challenges are well understood, has really begun to heavily leverage AI/ML. Everywhere else, the barriers to gathering appropriate context and rendering predictive clinical recommendations have yet to be overcome.